I feel like I'm pretty much an open book. I am interested in so many things and enjoy the time I spend with those I love immensely. But even my closest friends believe that I share only the things I want folks to know - which, when I stop and think about it - is probably true. I keep many things close to me, and some things will never ever share with another soul. Not because they are secrets but because they are just that special and precious to me. But in the interest of trying to share a bit more about me, here are 100 tidbits you may or may not know about me. If you think that is about 99 too many then feel free to skip this page altogether. But for those of you who want a glimpse BEHIND the writer/student facade I generally present on my blog, these facts are for...you. First and foremost - before any other role in my life - I am a daughter of the King. I learned many years ago to not even try to make a single day on my own. Jesus is everything to me. I became a mom for the first time just shy of my twentieth birthday. Now that that firstborn is closing in on his own twentieth birthday, I just have this to say, what was I thinking? I thought I was grown. How scary is that? I am the oldest child in my family, and the only girl. My brother is almost five years younger than me. In my eyes, he never could, and still can't, do anything wrong. I was his second mother and am still oh-so-proud of him. Being mom to Nate and Jorge is the most fulfilling job I have ever had or ever hope to have. It's the toughest job too. But one that I wouldn't trade for all the tea in China. Or all the peanuts in Georgia. Or all the money in Bill Gates' wallet. I love deeply and completely. If I love you, then you KNOW it. I am an author with four published books but still cannot call myself the "A" word when in conversation with anyone. I just can't do it. I feel like an imposter. Just an ordinary woman posing as a wannabe author. I wrote my first story in the fourth grade. My friend Melissa illustrated it. We really truly impressed our teacher who collected it and kept it for herself. At the time I thought it was because she was so proud of us and wanted it to show all her teacher friends. Now I have to wonder if she just wanted us to concentrate on our school work instead of our highly acclaimed story. I can't for the life of me remember Melissa's last name now, but I will always hold her close in my heart for all the weeks we spent tirelessly working over that manuscript together. I began to write for therapeutic reasons when I was twenty-three. My best friend EVER read my short stories and essays and encouraged me to do something with them. I listened and my life began to change right then and there. It began small, with just a few articles and essays being published here and there. 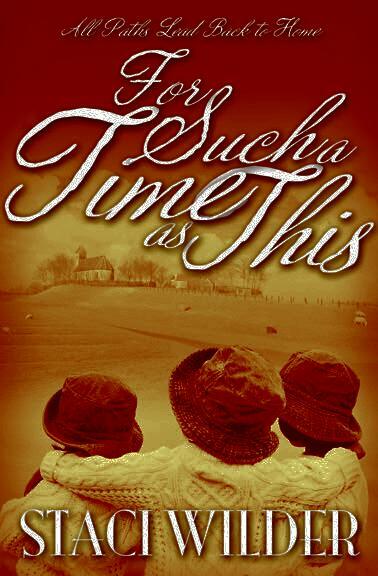 But I also began my first novel during this time period. And then it went into a box and got shoved on a top shelf of my closet. Until Mike found it after we were married and asked why I had never finished it. I didn't have a good answer so I began to work on it here and there, mainly in the evenings and on weekends since I was working a full-time accounting job during the days. 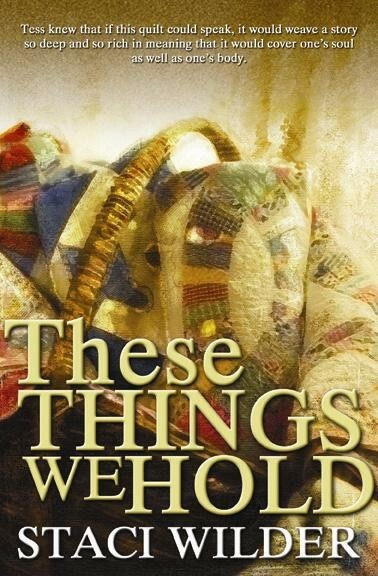 These Things We Hold was finally published in 2002. 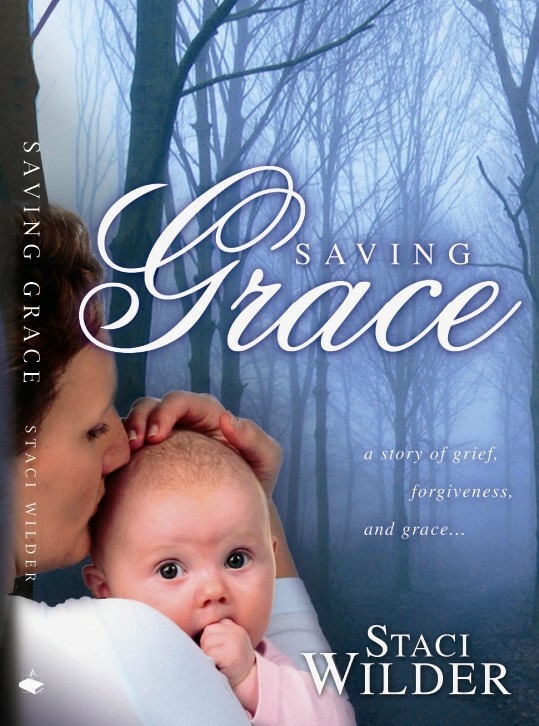 It was loosely based on a group of women who had inspired me when I was a child growing up in my home church. They were - and continue to be - models that I knew I could watch and learn from. Women who knew the art of being a lady, and ladies who had too much strength not to be called WOMEN. In fact, next to my belief in God, I probably believe in love more than anything else. I've experienced enough to know that love can hurt at times. But I've also learned that it is the great sustainer. In the right hands, your heart is safe, your dreams flourish, and your life is better for it. I've known great love. Still know great love. I believe you can say more with your eyes and with your heart than you ever can with your lips and with your words. And your eyes cannot lie. I believe in soul mates. Not the kind you read about in romance novels or in magazine articles. But I believe that when our hearts and souls are prepared for it, that occasionally God gifts us with another individual who shares our very heartbeat about the greater things in life. I don't think life is incomplete without a soul mate. Instead, I think it adds new dimension to life. It enables you to live life in 3D - because there is someone else who not only shares your innermost beliefs but also holds a mirror up to your life. You are able to see life through your own eyes but also through the eyes of someone you love and trust implicitly. Time, distance, and circumstances don't change this relationship. It's a gift from God and those gifts don't alter, deteriorate, and don't have expiration dates. They are forever. I've lived in Texas for my entire life. Two years in the Galveston area and the other thirty-something years right here in the Dallas area. I may be from Texas but I just don't enjoy country music all that much. I do, however, LOVE, love, love - music. I am totally and completely inspired by certain songs and certain musicians. I play the piano, which is probably one of the things that shocks my friends the most when they are first getting to know me. I don't admit it or advertise it. Usually it's Mike that announces it first. I took lessons from fourth grade through the twelth, and can play most anything by music. But what bums me out is that I just cannot play by ear, which is what I would LOVE! My most prized piece of furniture is my piano. My dad bought it for me when I began taking lessons and I knew then (but realize even more now) how huge of a sacrifice he made to purchase this gorgeous instrument. It has a prominent place in my home now. I've also only been on a horse a handful of times, Texas native that I might be. Most of those times were trail rides with a guide very close by. And one time on my friend LaGene's horse. I was about ten at the time and the horse was mean. In fact, when it comes to most things athletic or outdoorsy, I'm not really the poster girl. I have a weak serve in volleyball, can dribble a basketball fairly decently but can't shoot to save my life. I don't always make good contact with a softball but can run bases like the wind. I enjoy tennis and play once a week but my game still needs work. Lots of work. I took up golf two years ago and, again, my game needs some serious attention. If the truth be known, I think I enjoy golf because of the serenity and inspiration I find on the green as much as anything else. Now before these last few items start making me seem like I lead a really healthy lifestyle, let me clarify that this is not necessarily the case. Although I'm closer now than ever before. I'm finding balance and am finally realizing that living by the motto "all or nothing" is just. not. healthy. I exercise six days a week, no excuses. This includes walking, running on the treadmill, tennis, and golf. Some weeks it's just walking - still others, it's all four. I try to make healthy eating choices 80% of the time. If that doesn't sound like a large enough percentage, well...it probably isn't. But another thing about me is that I enjoy food - particularly anything that includes chips and salsa. It's taken me most of my thirties to realize that it's okay to be a woman and admit that you have some curves and probably always will but that it's still okay to voice aloud your sincere appreciation for all things Tex-Mex. Your friends will still respect you. Your spouse will still love you. Jesus will still think you're absolutely wonderful. And really, beyond these folks, who cares what people think? While I'm admitting vices, my secret (until now), rare indulgence is chocolate-frosted mini donuts. Straight out of the bag, no less. And I'm a bit of a Diet Coke fan. Okay, I'm a HUGE Diet Coke fan. But I also drink 100 ounces of water a day, so I figure it's all good. I am married to a good man. He loves me, loves our children, and loves God. I have some friends who say that they vacuum or clean bathrooms when they want to relax. I say that is just C-R-A-Z-Y. When I need to relax, I like to curl up with a book or watch a chick-flick so rich with emotion that none of my three guys will dare enter the room to watch with me. I love BATHS oh-so-much. The irony is that we recently moved into a home where the master HAS. NO. TUB. No tub, folks. Granted, it has an oversize European-style shower, but I'm still adjusting to the whole no-tub thing. I've been known to read many novels by candlelight in deep, hot bubble baths. Usually with a Diet Coke nearby. There is a definite art to slowly releasing some of the tepid water and running new, hot water, all the while maintaining the desired level and heat of your bathwater while never losing your place in your book. I perfected that art. Unfortunately, I can now only utilize this great gift while staying in hotels. There are four generations of our family that go to church together. I'm blessed to be in a congregation with my parents, my grandmother, AND my boys. I'm also blessed to have grown children and still have two grandparents for them to know and love. I am one year away from turning 40 and I'm very excited about that fact. My friends think I'm nutty and that I will have at least one minor (or major) freakout before the actual date, but I don't think so. I've had some tough times in my life and the appreciation I hold for this particular place in my life is immense. Turning forty and recognizing all the blessings that lace my life make this next birthday seem like a badge of honor, not something to be dreaded and merely endured. It WILL be celebrated, and will include those I love the most. I thought I knew the value of girlfriends as a younger woman, but it's only been in the last few years that I've grasped the magnitude of what my closest girlfriends mean to me. We laugh together, pray together, cry together, celebrate and mourn together. They are my biggest cheerleaders and their victories are my own victories. There is NO competition, NO jealousy, NO hurdles or barriers we can't work through. They strengthen my weaknesses and hopefully I do the same for theirs. I've visited 21 U.S. States and four countries. As far as other countries, I'd most like to travel to Ireland. But there are still SO many places here in the States that I want so much to see and experience. Particularly the Eastern seaboard. From Maine right on down to North Carolina. I wonder if there is a cruise along this route...??? I am fascinated with lighthouses and will definitely spend time in one when I do finally make it to the east coast. I'd like to live in a renovated one and go to sleep at night and wake each morning to the sound of waves meeting the land around me. I began my college career at twenty-two, when my boys were babies, but only completed a few hours at that time. Although I thought many times about going back, the fear of math kept me away for a long, long time. I finally went back one year ago, and love, love, LOVE it! I am majoring in literature and will most likely teach at the college level one day. But I am also exploring the career of life coach and will be taking some courses along those lines. Not that I think I have any great insight to offer anyone, but I do have a genuine interest in people and love to share the insights that I do have. I believe that ANYONE can accomplish ANYTHING. Maybe that's the romantic in me. Maybe it's the writer. Maybe it's a combination of a lot of things. But one thing that bothers me the most is when I see people stopping way short of what they are capable of achieving. We only have one life - why not make every minute of it count? My biggest fear is to die and not leave behind a legacy. I want my life to mean something. I feel a responsibility to leave behind something of worth and substance for the generation that is coming up behind me. That is why I continually bug some of the younger girls in our ladies group at church that I lead. I pull them in and have them work on projects with me. I remember how the women from my childhood inspired me (enough to write a book about them!) and I want so much to do the same for someone else. My favorite book of all time is Pride and Prejudice, by Jane Austen. I thoroughly enjoy the Food Network and can see myself cooking up a storm with Rachael Ray, Paula Deen, and Bobby Flay in my kitchen. I was green with envy (the GOOD kind) when our friends recently visited Savannah and ate at Paula Deen's restaurant. The upside to that is that they brought me back an apron with The Lady & Sons logo on it. It also says "Homemade Cooking Makes You Good Looking." Works for me. I bought two of Rachael Ray's cookbooks a few weeks ago. So far they've just been nighttime reading material for me, but I'm hopeful (as is my husband) that they will eventually lead to culinary delights in our OWN kitchen. One can hope, right...? My friends and I do actually cook together quite often. We love to gather in one another's kitchens and cook and bake and talk and talk and talk...With the sounds of our husbands and kiddos in the background and the aroma of good food all around us, we know that life is good. Maybe you feel like you know me a bit better now. The grand thing about us all is that we are constantly changing and evolving. As we age, life grows richer and we (hopefully) grow wiser. I'm thoroughly enjoying life right now, and I look forward to the years to come.